Budapest, nicknamed the ‘City of Spas’, is Hungary’s largest city and its capital. This beautiful and picturesque city enchants anyone that visits and hence, has become one of Europe’s best cities to visit. 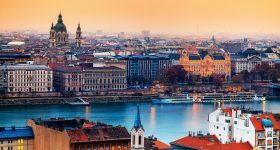 With its rich heritage, incredible architecture, seductive skyline, mouth-watering food, countless thermal spas and electric nightlife, Budapest has a lot to offer to its visitors. 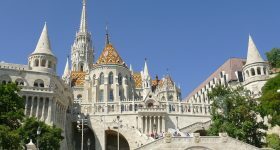 Some of the most popular attractions and places of interest in this wonderful city include the Hungarian Parliament Building, Buda Castle, Hungarian National Gallery, Fisherman’s Bastion and many others. 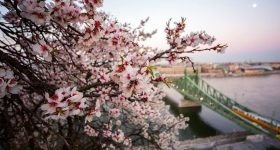 But with so many places to go and things to see, it can get a little daunting and a little expensive for travellers and newcomers to find out what exactly to do and how to go about doing them in their limited time in Budapest. That is where the Budapest Card or the Budapest City Pass comes in. 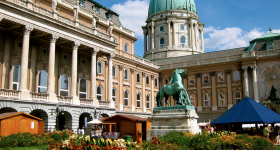 The Budapest Card is the easiest, most cost-effective and efficient way of exploring the city. What Convenience Factors does the Budapest Card bring? How and Where to buy the Budapest Card? The Budapest Card, in short, is a traveller’s dream. The Budapest Card offers visitors the most seamless and easy way of experiencing and uncovering everything the city has to offer. This pass is essentially a package of services and discounts for users in Budapest. By purchasing this pass, one can use the public transportation for free, get access and discounts on some of the most popular attraction in the city, avail two free walking tours and also get food and drinks at a cheaper price! Sounds less like a card and more like a wish-granting genie right? Save €6 on your Budapest Card when you use promo code 'GOBUDA'! You have the option to choose from the 5 cards : 24 hours, 48 hours, 72 hours, 96 hours and 120 hours. Depending on the variant you choose, the card remains valid for the said period. It is activated upon first use and remains valid for consequent hours. The Budapest Card enjoys a super flexible cancellation policy and allows you to cancel up to 24 hours in advance for a full refund. The Budapest Card is essentially a key to the city. By offering free entry to a bunch of places and discounts on others, this card helps you save a lot of money. Without the pass you would have to individually purchase a ticket for each attraction, which would cost you way more than if you bought the pass. Also, this card allows you to use the public transportation for free, meaning that you save on unnecessary expenditure and can therefore spend your money on meaningful things. As mentioned earlier, planning a trip abroad takes a lot of energy and time, and can leave you drained. From figuring out what you want to do to purchasing tickets to planning dates, all this can get quite cumbersome and frankly quite annoying. A Card alleviates all these issues as they are valid for several days and are hence flexible. In the mood to go to a museum today? No problem. Want to visit the spa at night? Fret not, for your card is valid for all these attractions for a chosen number of days. One of the greatest advantages of the Card is that it gives you access to the public transportation system in Budapest (buses, trains, subways). You don’t have to worry about getting fleeced by a local taxi driver or waste your time waiting for an Uber. Just find out where you need to go and use the local transport at your disposal. With the Budapest Card, you are free to pick and choose the places you want to visit From the long list of attractions and iconic places, find out which ones pique your interest and only go for those. Another great advantage of this card is that it helps you save a lot of time on your trip. Without the card, you would be required to stand in line at the attractions and purchase your tickets from the counter. With this card, simply ignore these long lines and head straight for the entry gate! It may not seem like much of an advantage but during the tourist season, some of the lines to enter can go on forever and take forever to get through. Save yourself the trouble and the time and use the card. To help you understand how beneficial this card exactly is, in terms of savings, you can go through the cost-benefit analysis shown below and see for yourself. The Budapest 48 Hour Variant costs which translates to 53% savings! And this is counting the prices of only 8 attractions. The card offers way more to choose from along with free transportation, discounts on food and drinks as well as 2 free walking tours! This clearly shows that the Budapest Card helps save a ton of money while travelling and exploring the city. Whether the Budapest Card is worth it or not, depends on multiple factors. 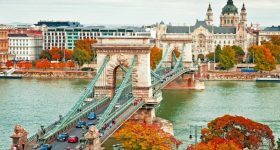 Depending on the number of days, the kind of attractions you want to hit up and your budget; the Budapest Card can prove handy or hard. 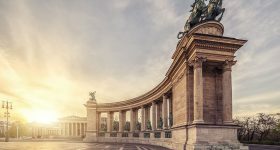 If you're travelling on a budget and are looking to the make the most of your time in Budapest. With the pass, you can cover most of the city’s popular attractions in a limited time frame. The pass comes in various options, depending upon the duration for which you want to use it - 24 hours, 48 hours, 72 hours, 96 hours and 120 hours. That said, the 24 hour Budapest Card is not the most cost-effective as you'll have to cram a lot into a day to get your money's worth. On the other hand, the 120-hour card is an absolute boon as you cn easily double the value of money spent in 5 days time. This pass is especially beneficial for those travelling with children. With skip-the-line access to most attractions, you and your family will be able to enjoy everything Budapest has to offer, without wasting precious time standing in queues. On the downside, the Budapest Card does not allow discounted prices for kids, hence you will have to pay full price for them as well. However, the convinience of one card for everything triumphs the hassle of standing in queues with kids! All in all, it is a great buy and definitely worth the money spent! How & Where To Buy The Budapest Card? You can also buy the Budapest Card offline, from any of the above mentioned pick up points or from the Budapest Tourism Office. However, buying the Card on ground does not allow you to score discounts, hence we strongly recommend purchasing it online. Once you have the physical Budapest Card with you, activating it is fairly simple. Turn the card and you will see white boxes on the back. The first three white boxes in the middle of the Budapest Card are the date & hour info boxes when you wish to start using your card and the last long box requires your signature. 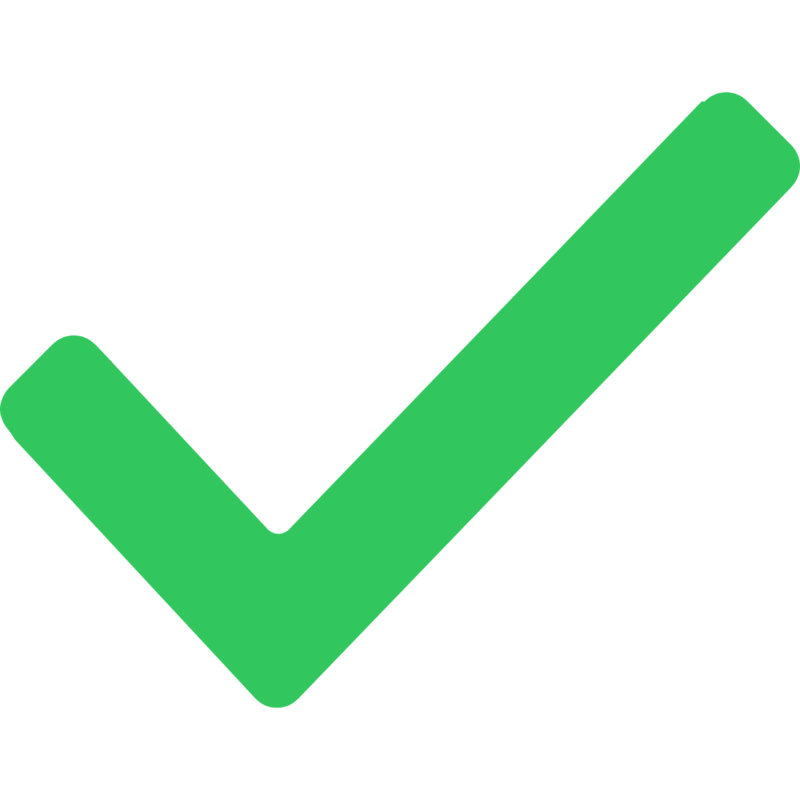 Note, they will not accept any errors or corrections made after the initial sign, so make sure that you won’t be making any changes afterwards. To fill out the hour, only write rounded numbers. You will need to round backwards, so if you start using your Budapest Card at 9:30 AM , you will have to write 9 in the box, not 10, or 9:30. Note that the order of the date is MONTH / DAY (as in the US), and not Day / Month (as in the UK). Please do not strike ot correct anything on your Budapest Card as it makes the card invalid on the whole. • Before purchasing the pass, make a list of all the attractions and places you want to visit in Budapest. 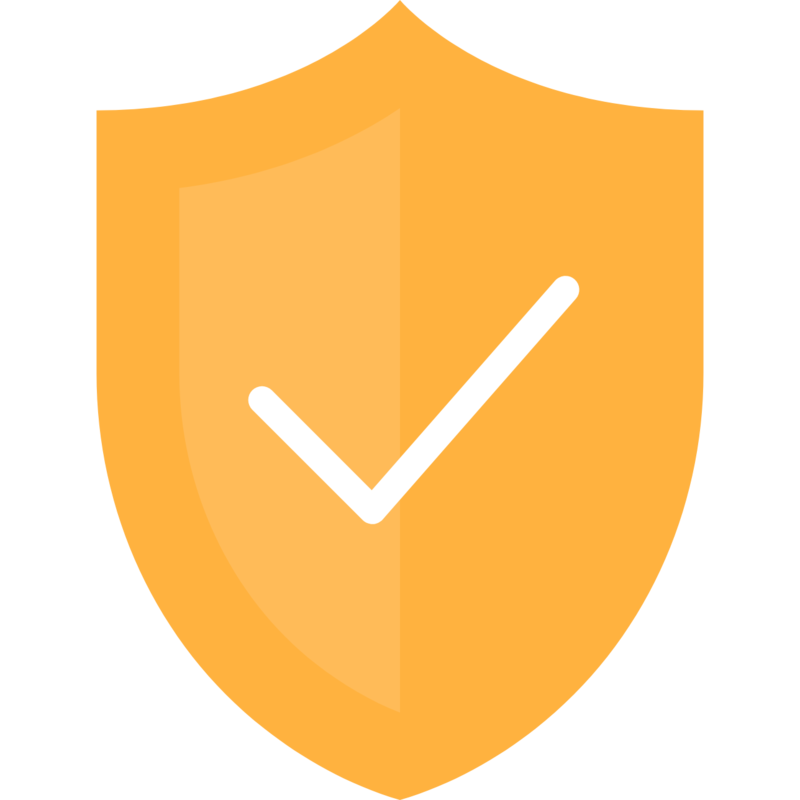 Once you have created the list, cross check with the list of places covered by the card and see whether majority of the attractions you want to visit are actually covered by the card. They most probably will be, but this exercise will help you get a better idea. • You should definitely register your Budapest card online. This covers any potential loss or damage to the card during the validity of service. The online service to register your card is free and simple and these few minutes can go a long way in case of any unfortunate thefts or damage to your card. • If you are purchasing any of the multiple day passes (2, 3, 4 or 5 days), try planning out your days in advance. Figure out which attractions are close to each other so you can visit each place with relative ease. We all know it’s no fun running through the attractions only to make it to the next one on time. 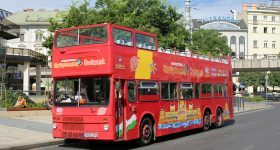 • Budapest is greatly connected by its public transportation system. Make sure you make good use of this as your pass gives you free access to buses, trains and subways. • The Budapest Card is personalized and is not transferable, hence make sure you have one card per person for each family member. 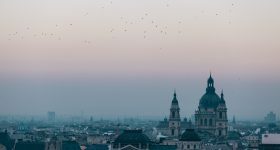 • With the Budapest Card, you are allowed 4 hours of free access to the Koffer where you can safely store your luggage while you’re out and about doing your Budapest sightseeing. There are facilities for a shower printin facility ( should you need to bring your ticket, boarding pass etc). Moreover, the Koffer is within walking distance to the Okatagon Metro Station that connects you to the bus route (100E) that takes you back to Budapest International Airport. 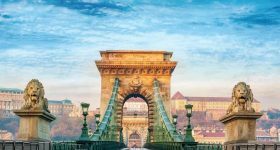 This feature of the Budapest Card comes handy for those who have a stopover in Budapest for a day or so and want to make the best of 24 hours in the city.